We spent the morning hiking, picnicking, and doing a bit of rock climbing, but since our youngest still requires a mid-afternoon nap there’s often a bit of drag time in the gap between nap and dinner, one too short to really get out to do something but too long to just chuck them at their toy box and hope for the best. Sometimes that means a DVD while I fix dinner, but too much screen time leaves me feeling vaguely guilty. Today we dipped into the tattered bag of tricks and pulled out an oldie but a goodie – homemade play dough. 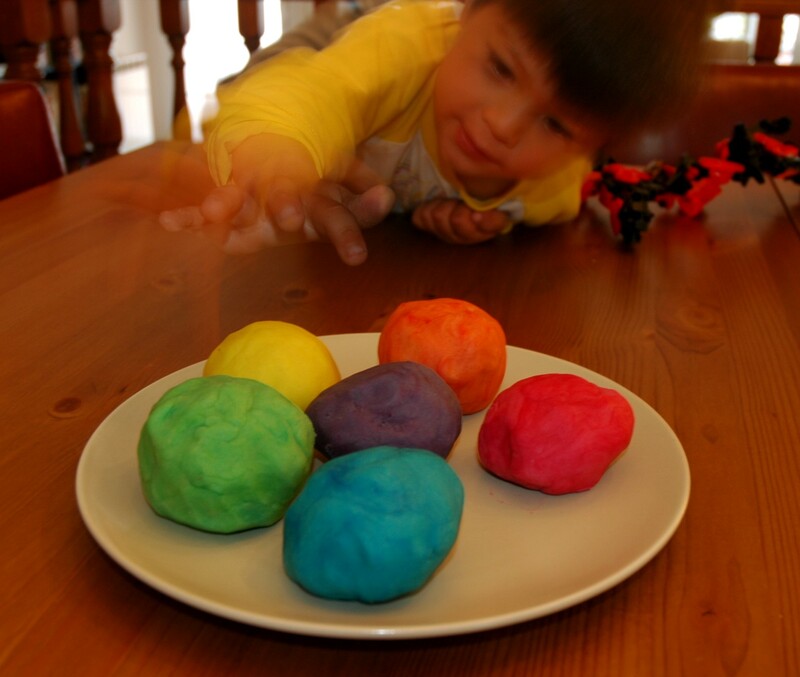 We hadn’t made play dough in so long that I’d forgotten how easy – and fun – it is. Here’ s the recipe and a bit of explanation. Today we used food coloring to make a six-pack of different colors, learning a bit about primary colors and the mixing thereof along the way. Interestingly, the only food coloring that stained my hands was the blue. Now think for a moment. You have a handful of M&Ms. What is the only color that bleeds onto your skin? The blue. What is it with blue food dye anyway? If you haven’t made it before, you really should check out how to make your own play dough and give it a whirl. 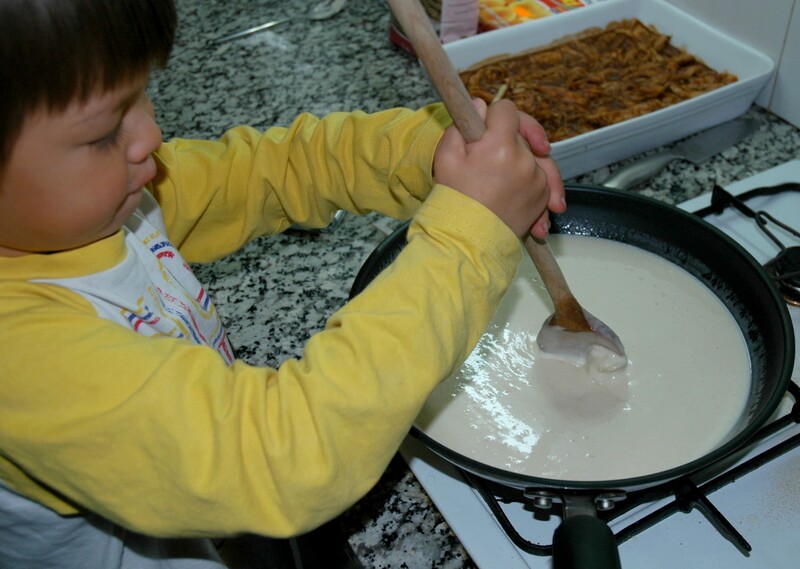 It’s a great way to get the kids engaged in the kitchen, and after they go to bed you have a fresh batch of squishy stuff all to yourself. So if you’ll excuse me, I’m off to the Fun Factory. Reblogged this on The Late Blooming Stay-At-Home Mom. My mom used to make play dough. And it was cool, wasn’t it? Definitely, better than the store bought.